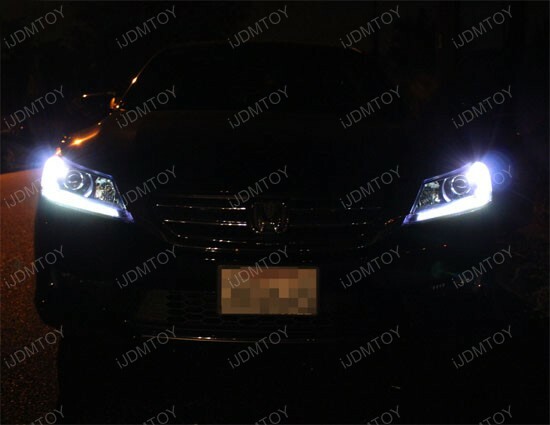 You can find this product under Honda Accord LED Running Lights (50-046). *NOTES: You need to unscrew several screws and push the headlamp outwards or even remove it completely to have more "hand" space to install this LED running light upgrade. 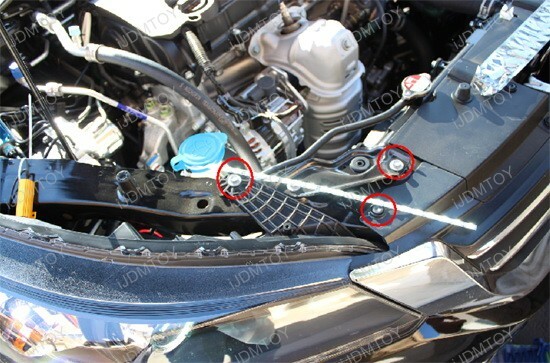 If you attempted to install this product without removing the headlamps, and any installation damage such as break apart the LED circuit board or tear off the wire will not be covered in the warranty. 1.) 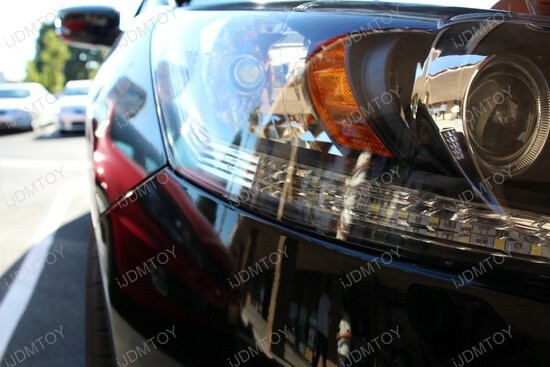 Starting on the passenger side, remove the factory parking light bulb from the housing from near the bottom of the headlight area. Twist and remove. 2.) Remove the factory bulb and set aside. Take caution when doing this because if the bulb was on prior to removal, it may still be hot. 3.) 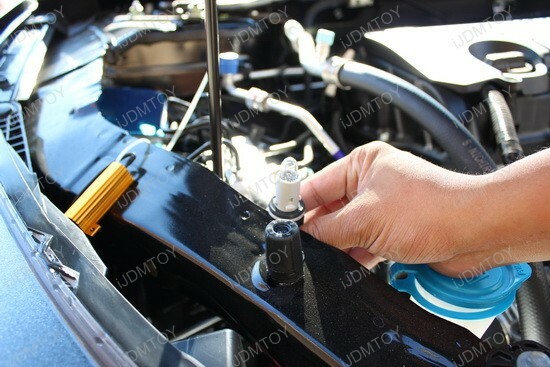 Have the headlight screws removed and push from the back to move the headlamp outwards so you will have more "hand" space. Insert the LED assembly from the opening of where the parking light bulb is inserted. Having the LED facing the front, and take your time while doing this. 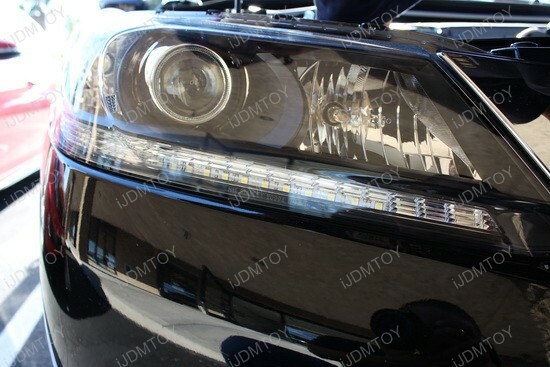 Please keep in mind, DO NOT bend the LED too much, otherwise, it might break the LED assembly. 4.) 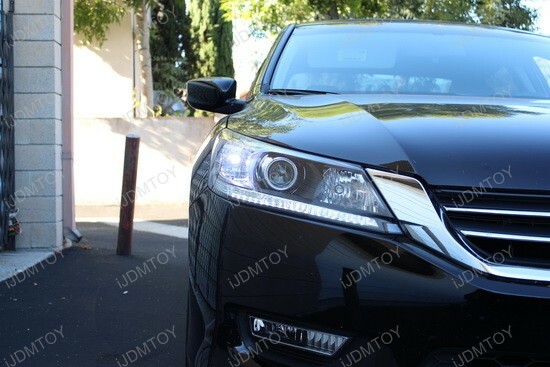 Once the LED running light assembly is completely inserted into the headlight parking lamp housing, connect the T10 adapter to the factory parking light socket. 5.) 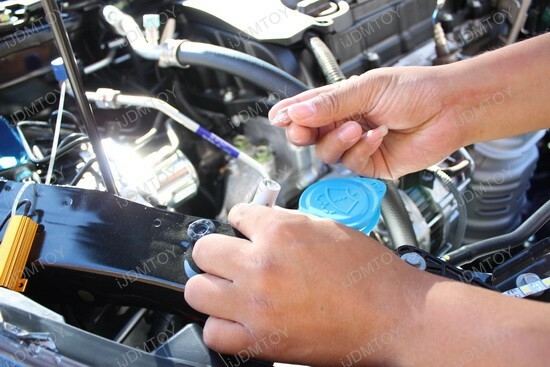 After this, push the headlamp back to its original position, turn on the headlights to make sure the new LED running light works. If they do not turn on, flip the bulb adapter 180 degrees and try again. 6.) Repeat the same procedure on the other side and enjoy your new lights!